The small community of Manson is an unincorporated part of Chelan County and is a self-proclaimed "village" of 1,500 people. It sits on Lake Chelan, just 7 miles west of the city of Chelan in central Washington. It is roughly halfway between the major areas of Seattle and Spokane in a fairly remote part of the state at the base of the Cascade Mountains and Wenatchee National Forest. 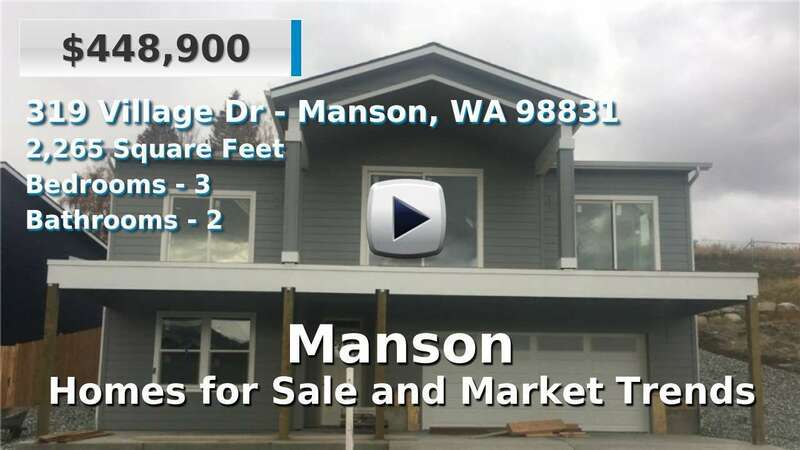 Homes for sale in Manson are typically newer, custom built homes on the water or acreage. This area is known for its recreational diversity among summer and wintertime activities and draws visitors throughout the year. 3 Beds | 2.5 Baths | 2547 sq. Ft.
4 Beds | 3 Baths | 2350 sq. Ft.
3 Beds | 2.5 Baths | 2624 sq. Ft.
4 Beds | 2.5 Baths | 1936 sq. Ft.
3 Beds | 2.25 Baths | 1577 sq. Ft.
1 Beds | 0.75 Baths | 396 sq. Ft.